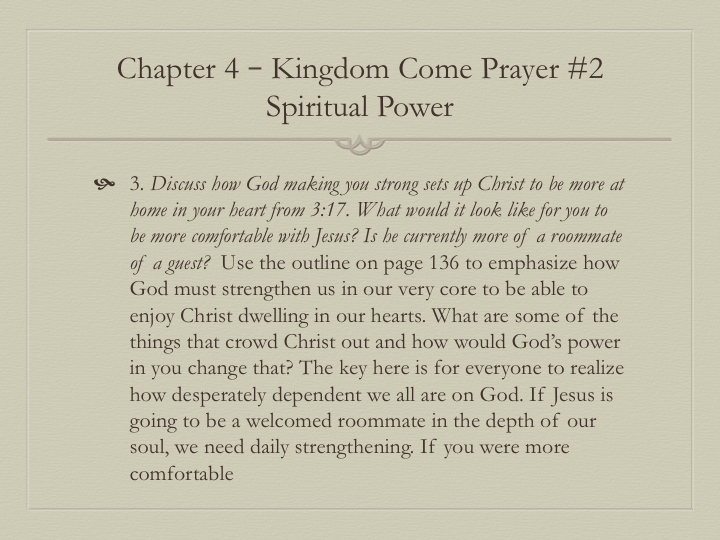 How to Ask God - for What He Wants to Give You was written especially for Small Groups and Bible Studies. 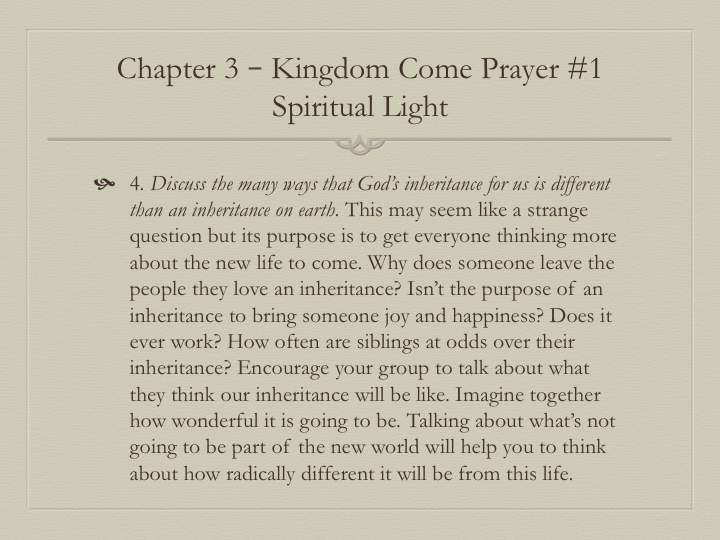 Each chapter concludes with five engaging discussion questions. 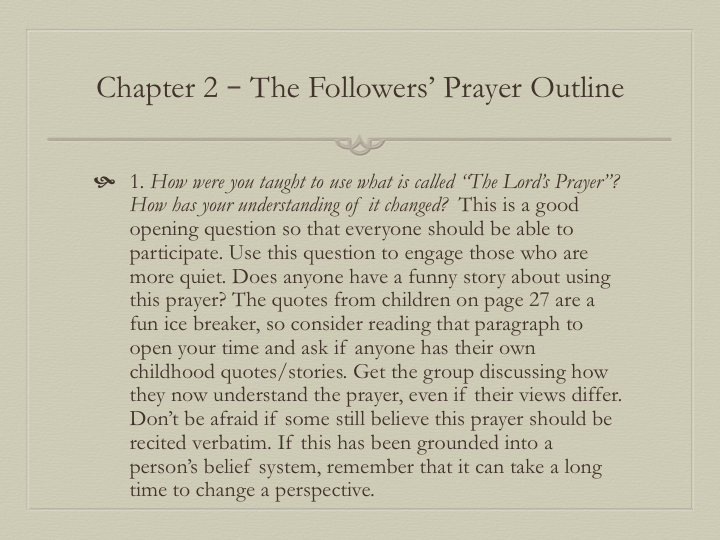 The questions were written for diverse group members, ranging from those who are just considering Jesus' teachings to believers who have been following him for many years. 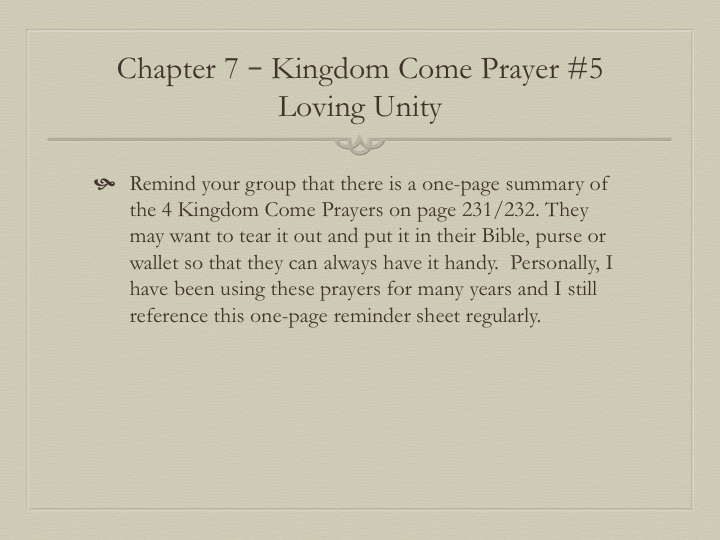 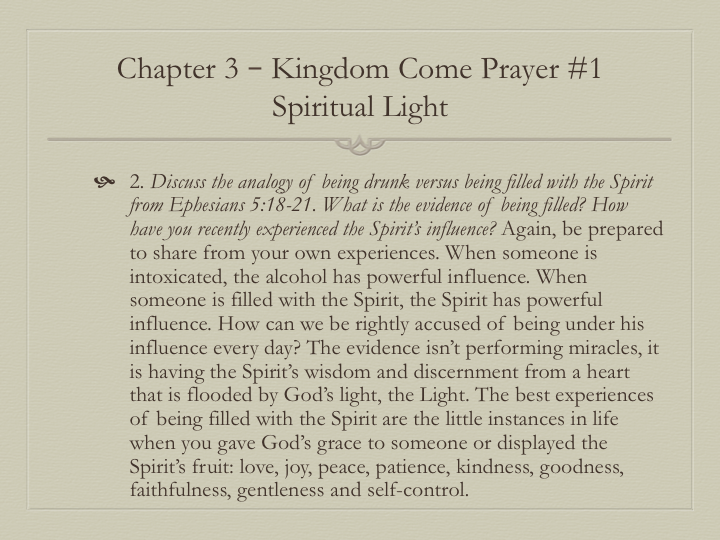 Your group members will be able to own these prayers by using the tear out pages at the end of Chapters 2-7. 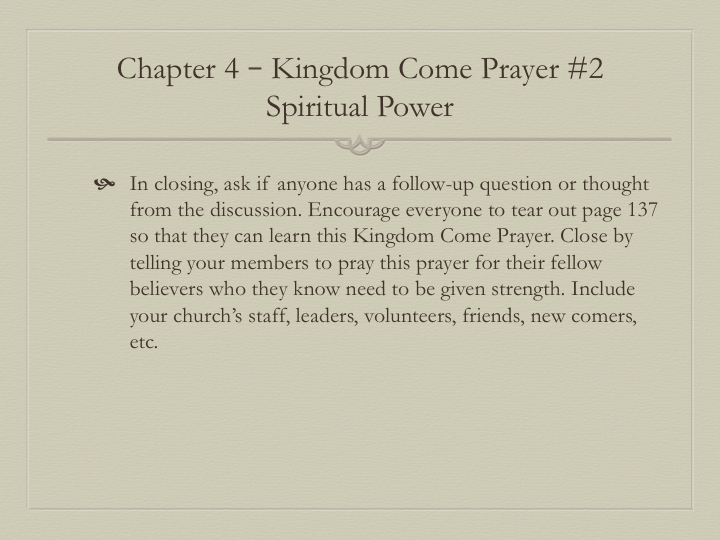 The tear-outs contain The Followers' Prayer outline and the four Kingdom Come Prayer outlines. 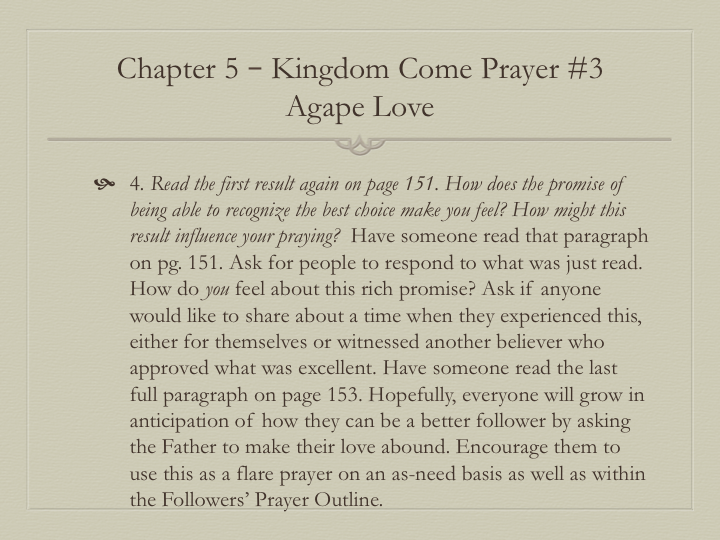 Each member can keep these sheets with them as a constant reminder of how to ask God for what he wants to give them. 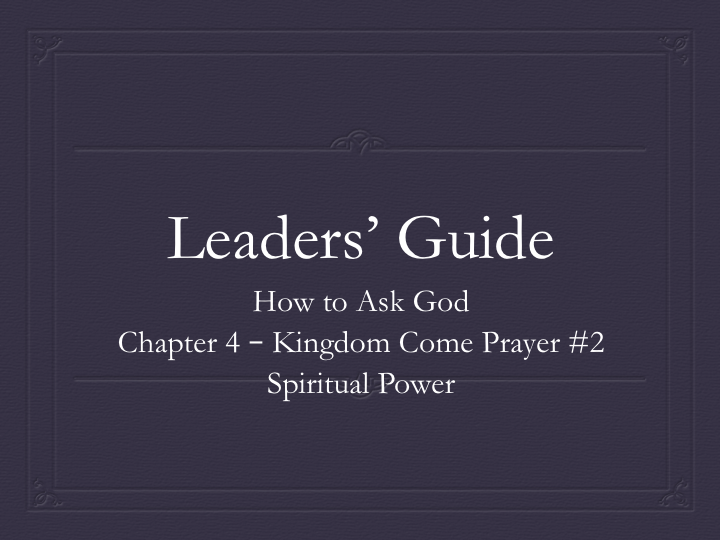 The Leader's Guide below walks you through the five questions in each chapter. 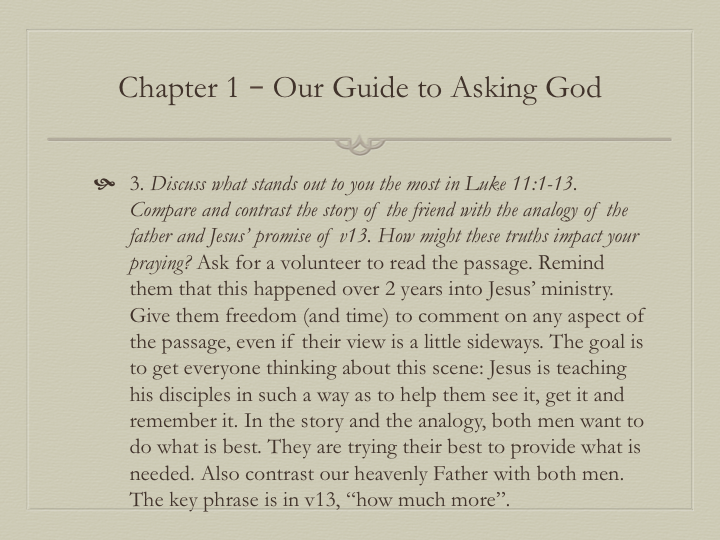 Bill gives you tips so that you can encourage your members to engage in the discussion of each question.